The Esse shoe is designed for ultimate street performance. The Esse blends the performance you’d expect in a competition shoe with the durability you’d expect in a street shoe. 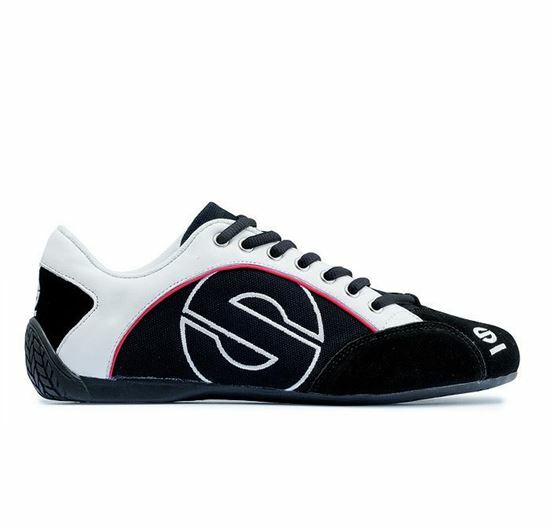 It features a thin sole for maximum pedal feel and control. This sole continues up the back of the heel to provide a smooth and stable pivoting point for heel-toe shifting. As stylish as functional, the Esse features contrasting suede accents, accent piping and signature Sparco “S” emblem. The Esse is available in sizes from 36 to 46.